This product will be available very soon. Be the first to receive this Spring Summer Collection limited edition accessory by pre-ordering now! 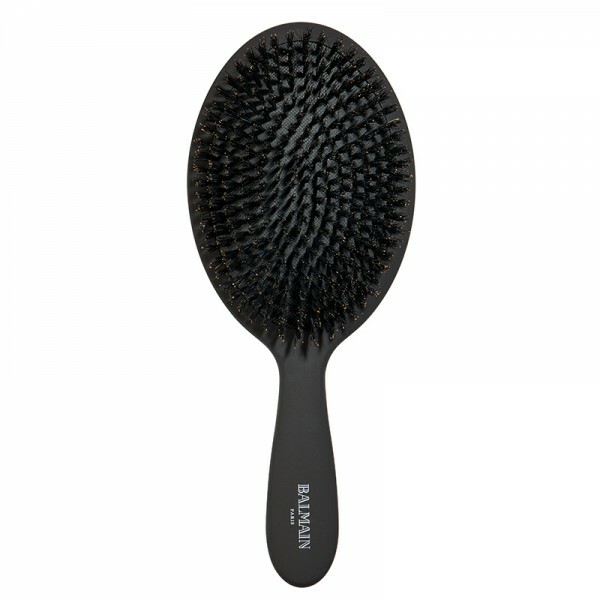 Luxury Spa Brush with 100% boar hair bristles especially designed for a high gloss finish. The unique structure of the boar hair bristles carries the hair’s natural oils from the scalp to the end of the hair shaft. By coating each strand with a very small amount of sebum, the brush repairs dry hair, reduces frizz and adds lustrous shine.